Q: My 35 year old amazon is starting to go blind from old age. What can I do to make him feel comfortable? 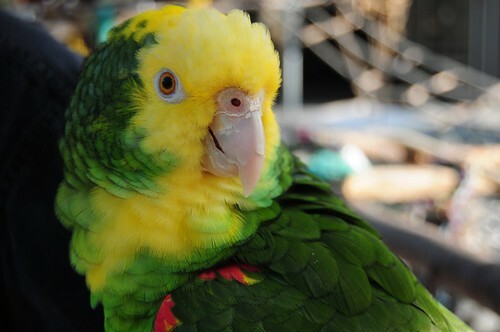 A: One thing that I have noticed about parrots with disabilities is that they are seldom really troubled by them. It is in a parrot’s nature to work with “problems” rather than against them – something that is more the habit of a human being.